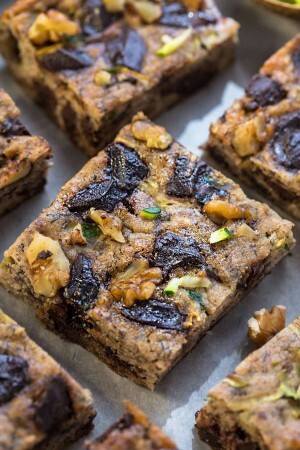 Paleo Cashew Chocolate Chip Blondies are soft, chewy and make the perfect healthier treat! Best of all, they’re gluten and grain free, refined sugar free, and come together in a just few minutes. So how was everyone’s Halloween? Did you stay home and hand out candy or venture out to a party or trick-or-treating with the kids? We took the kiddos out and ended up getting home pretty late since they had so much fun and didn’t want the night to end. Of course by the time we got home, they wanted a sweet treat and even though we had all that candy they had just collected, I opted to give them something a bit healthier like these Paleo Cashew Chocolate Chip Blondies instead. They’re soft, fudgy and chewy and much healthier than a typical candy bar. And since they’re refined sugar free I didn’t have to worry if the kiddos would be bouncing up the walls all night with a sugar crash later. 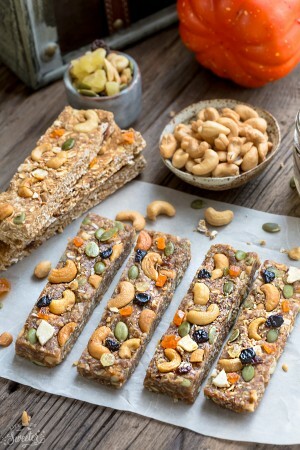 Plus they’re also loaded with healthy fats from the cashew butter and cashews and you can’t beat that they still taste rich and decadent. The best part about these is how easy they come together. Just one bowl to dirty up and you won’t even need to pull out your mixer. They’re perfect for an after-school treat or packing along in the lunch box. Paleo Cashew Chocolate Chip Blondies are soft, chewy and make the perfect healthier treat. 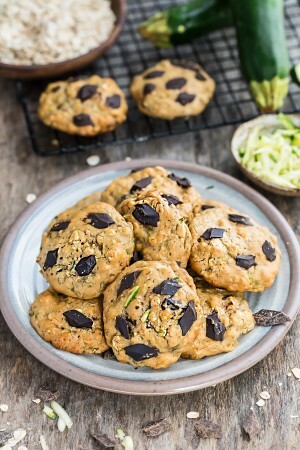 They’re gluten free, refined sugar free, and come together in a just few minutes. Preheat the oven to 350 F. Line a 8" x 8" square baking pan with parchment paper leaving a slight overhang. In a large bowl, whisk together the almond butter, coconut sugar, eggs and vanilla until smooth and combined. Add the almond flour, baking soda, and salt, and stir again until a thick batter is created. 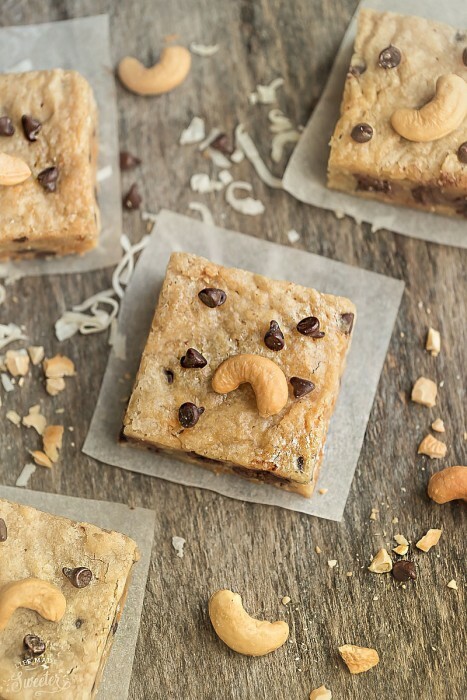 Fold in shredded coconut, chocolate chips and cashews. Spread in baking pan and spread smoothly with an offset spatula. Top with extra chocolate chips and cashews if desired. Bake in preheated oven for about 19-21 minutes, or until lightly golden. Remove from oven and allow to cool completely in the pan. Lift out with parchment paper and slice into even squares.